Jamie works as a studio vocalist for songwriters and producers throughout the country and has also sung live with The Rhythm Method at weddings and events around the Colorado Front Range area and with the Voices of Light Chamber Choir. 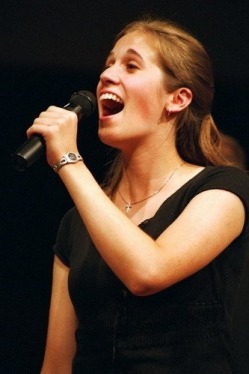 Comfortable singing many styles as well as creating parts for and singing back-up vocals, you'll find her quick to learn, flexible, and easy to work with! "No storm can shake my inmost calm while to that refuge clinging; Since Love is Lord of heaven and earth, How can I keep from singing?"